Vishnudas Bhave is regarded as the father of modern Marathi theatre. This is only because he was the first one to initiate a professional drama company. Otherwise, his plays do not relate to the modern theatre; instead, they seem to have their firm rooting in the traditional Indian theatre. In a way, this ‘fatherhood’ goes to Mr. Anna (Balavant Panduranga) Kirloskar. However, he also seems to be influenced a lot, by various traditional performance–based plays, acts and folk –plays. So, the author states here that to trace the tradition and development of Marathi theatre, one has to start with Kirloskar, from there study the Vishnudas Bhave tradition, which eventually leads us to the traditional forms and theatrical performances in the Indian folk- culture. A senior researcher, Mr. K.B. Marathe from Belgaum, in his writing named ‘Antecedence of the Marathi theatre’ puts forth almost the same links. Dr. Dhere in this chapter has presented some of his own findings, nothing which support Mr. Marathe’s work and which augment Dr. Dhere’s thought as well. Origins of Marathi theatre have evolved from the compositions and literature of contemporary saints and sages. These saints and sages, to propagate their thought have many times used various folk- based art forms. They however seem to have a particular attitude and way of looking at all these dramatic elements. They have their own philosophy and a definite approach of comprehending these elements. One single word which clarifies this approach and philosophy is ‘Roop-maya’. Roop-maya means illusion of forms.The saints and sages look upon all the phenotypes – real and dramatized, as the expression of the supreme power, in various forms and manifestation, although transient and illusionary in nature. They call this manifestation ‘His’ ‘Leela’ and constantly ponder upon its true and original form. To support this observation, the author quotes here a composition by Jani Janardan, a poet contemporary to Eknath. The composition named ‘Janakisainwar’, and it beautifully relates this expressive supreme power and his manifestations. Few lines are quoted from the original verse. He also quotes a line from Saint Tukaram. These concepts are often seen in the composition of saints. These ideas refer to the actual manifestation, with power make up, probably also with masks. The word ‘soang’ itself derives from ‘head’ - like word. The primitive theatre involved only masks, probably. So. ‘Soang’ relates putting up the requisite attire of the character, to give a visual representation to the content of the author. One more related word here is the ‘Sampaadani’ – meaning the elaborate explanation of the ‘Soang’ –or made up form / enacted form. ‘Sampaadni’ more over is the relevant commentary on which and how the enactment is being done, as well as who is doing it. (The character) In short, ‘Soang’ is the performance acting, while ‘Sampaadni’ is the vocal enactment. However, Dr. Dhere points out that this term is used in Marathi literature in multifaceted manner. The performing art of ‘Dashaavtar’ is often quoted and discussed as the original resources of modern Marathi theatre. Contemporary saints and sages, like all other folk forms, seem to have inculcated and utilized this form as well, to preach their thought. The vary term ‘Dashaavtar’ itself must have been close to their heart – as this very noun indicates the ten re-incarnations of Vishnu. ‘Manasolas’, by Someshwar Chalukya has some compositions paying respect to these ten Avatars (reincarnations) Dr. Dhere categorically points out that, amongst these compositions, those describing the ‘Matsya’ (fish) and ‘Buddha’ reincarnations are in Marathi language. It is uncertain, according to him whether these compositions were performed on stage. But he cites references from the compositions of Dnyaneshwar which mention ‘Dashaavtar’ form sure. A contemporary of Dnyaneshwar, Mukundraj, in his volume ‘Vivekasindhu’ echoes a similar stand that the supreme power returns to its original formless existence (Nirgun Nirakar) after the ‘purpose’ of an incarnation is over. ‘Chombha’ yet another composer, contemporary to Eknath, also expresses in a similar manner. (Few lines quoted in the chapter.) Dinakarswami Teesgaonkar also uses these terms metaphorically. Govindnath, a saint poet has dedicated his volume ‘Vitthal Vijay’ to the biographical sketches of ‘Dashaavtaars’. Like Dashaavtaars, Lord Ganesha is also described to put up various illusionary forms. The author quotes here, a few lines from ‘Krishnadas’ which shed light on this manifestation of Ganesha. All through the composition, Krishnadas seems to have used terminologies related to the theatre. Puppetry, as an art is too ancient in the Indian context. Experts say that it is a very typical Indian kind of entertainment. In Maharashtra, including Dyaneshwari, many such references are found. All the beings, regarded as puppets, getting controlled by their master conductor – the supreme power, is the concept used in literature of saints. The dance of puppets was performed with cartain in front. The venue of the play was called ‘Chhayamandp’. Fifteenth century biographer Krishnadas Daama has recorded, that such a play was performed in a Chhayanandap, in front of King Ramadevrao Yadav. Entire Ramayana was unfolded through the show, he informs. Dr. Dhere cites some references of ‘Yakshagaan' – the Kannada folk dramas being performed through the puppets. Traditional performers highly respect and almost worship the chest (box) in which all the puppets are preserved after the play is over. This chest is made from cane. The author informs at this point about this chest, by quoting details and the associated rituals as well. According to Dr. Dhere, the subtle meaning associated with the pious/ sacred nature of this chest is just not as a preserver of the puppets. It symbolizes the cosmos (Vishwa), in which the ‘puppets’ (living beings) lie. He quotes a supporting verse of Shekh Mohammad Baba. The author argues, that all forms, after the ‘play’ is over, return or sublime into the supreme power – the chest. This philosophical connotation gives it its sacred, pious stature. The author feels, that while exploring the roots of Marathi theatre, three other forms, namely – Laleet, Kaala and Kirtan must also be explored, along with all others which he has explored at various places. The ‘Kaala’ is a very very ancient practice – may be from the pre-Vedic period. ‘Pooshan’, a toothless (nonviolent) god who is adored by nomad cowboys, with a stick in his hand liked ‘Kaala’ (known in those times as Karambh.) Descendents of ‘Pooshan’ in all manners – The Krishna, and the Vitthal – the gods, obviously adore the ‘Kaala’. Now, Kaala is the mélange of individual tiffins, brought by the cow boys on the field- All type of food, cuisines. Even now, at a few places, ‘Kaala’ is given as an offering of the god (Prasad) to the devotees. The tradition behind the word basically indicates the playful activities of the god and his allies in the Krishna incarnation. ‘Laleet’ has two meanings associated with in – 1) The ‘feel-good’ song at the end of the recitation of spiritual verses, or 2) ‘Kirtan’ – performed with enactment (of the episode) when ‘Laleet’ was fully established as a practice, it was generally the last act of the ‘Kirtan’, Kirtan usually refers to the educative oratory performance, by exemplifying some character of the supreme power or its incarnation. Dr. Dhere elicits the inherent relation between ‘Kirtan’ part and the ‘Laleet’ part of such a performance, with the rock-solid evidence he has obtained. He has obtained a picturesque account of how a ‘Laleet’ was performed, in a stack of scriptures (baad) he got from the descendents of Haribuwa Bhondwe from Narayangaon. It gives such a detailed account, that Dr. Dhere has presented to his readers in original. He later confirms the fact, the ‘Laleet’ is now extinct from the Society. However, he quotes W.L. Kulkarni, another noted critic in Marathi. Mr. Kulkarni has written that todays Marathi theatre stands on the pillars of traditions like Laleet, Kirtan, and Dashaavtar plays and is rejuvenating the folk – art in its true sense. An art,once negated by the elites of the Society. Mr. K.B. Marathe has presented a detailed account of Eknath’s Ganga-Gauri -Kalaha (conflict). He has honoured this creation as the ‘1st ever pioneering Marathi play’. This is a zagda lyric. Usually, many of the gods are seen to have a wife and also a consort – like Krishna – Rukmini-Bhama, Khandoba – Banai – Mhalsa. In a zagda lyric, the wife and consort, or wives of two different gods are seen to be in conflict – each trying to narrate the supremacy of her beloved to other, and at the end, converging to state that principle of the supreme power is one the same ! In this chapter, at least ten such lyrics are mentioned. They also have apparently influenced the Marathi theatre. The Raja (king) of Sangli, the princely state in Maharashtra, was his highness Chintamanrao Appasaheb Patwardhan. He was the mentor and sponsor of Vishnudas Bhave – the originator of Marathi theatre. The king’s diaries have been published in the quarterly of Bharat Itihas Samshodhak Mandal. It is edited and published by a noted researcher Y.N. Kelkar. Vishnudas Bhave, performed the first ever Marathi drama ‘Seetaswaymvar’ in 1843. This dairy records events in next three years after this play was performed. It records events from 18th December 1846 to 30th July 1851 a period of four and a half years. The king expired in 1859. The notings in the diary clearly mention ‘Raamavtari Khel (play)’ being routinely preformed, also puppet shows, Laleet, Gondhalee dance rituals, Kirtans, Bahurupis etc. ‘Kuravanji’ is an influential form of Indian folk theatre, which owing to its popularity has been extensively used by both the ‘Shaiva’ and ‘Vaishnava’ cultist traditions to propogate their respective traditions of devotion. In the Tanjavur tradition, many plays based on the Kuravanji framework of narrative were written in Telugu, Tamil and Marathi. This framework usually is thus. The adored god ‘Muruga’ falls in love with ‘Valli’ his beloved feminine character. After initial opposition, she also falls for him; but then a series of obstacles follows, separating them in some way. A clairvoyant woman – Kuratti (Kaikadin in Marathi, ‘Kaikaay’ or ‘Kaiko’ as mentioned in Marathi bharuds) helps them to reunite. This woman is no one else, but the manifestation of the feminine supreme power itself. The concept of this fortune –teller, clairvoyant woman is seen to have spread all through the south-central region of India. ‘Vyankateshmahatmya’ in ‘Bhavishya Purana’ and its narrative resembles closely to the Kuravanji style and framework. As mentioned else where, Vyankatesh is the most influential South Indian God, which has also manifested himself as the ‘Vitthal’ in Maharashtra, ‘Vitthal swami’ of Hampi, in its Vaishnav tradition. While ‘Veerupaksha’ of Hampi and Veerbhadra are his Shaiva tradition forms. The verse under discussion has fifteen stanzas, and describes the love romance, and courtship of ‘Vyankatesh’ and ‘Padmavati’. They meet, fall in love and obstacles separate them, In the story, with unrest at peak, Lord Vyankatesh himself assumes the form of a fortuneteller, poor, clairvoyant woman and gains entry in the quarters of Padmavati and her parents and finally succeeds in winning his love. Name given to this fortune telling, clairvoyant lady is Pulindini. Entire narrative of the story is described in detail in this chapter. All this narrative, Dr. Dhere says, points to a certain phenomenon. ‘Padmavati’ in the story is the tribal element / folk element Lord Vyankatesh himself going to her signifies the event of assimilation of cultures – or rather symbolizes it. All Kuravanji plays are designed to create a feeling of efficacy, observes Dr. Dhere, along with entertainment. This very part of the Lord himself (the divine principle) going to the living soul enthralls the spectators, he observes. Not more than ten to twelve ‘Bharuds’ of Marathi saints portray the character ‘Kaikaay’ or ‘Kaiko’. So also, amongst almost thirty to forty plays, penned down by the members of Tanjavur royal family, only four to five depict the character. However, the author is affirmative about how the composers of these art forms look at her. They take her to be the divine feminine power Adimaya, or Mahamaya. The chapter enlists few of the Tanjavur composition of plays with Kuravanji framework. Portrayal of the ‘Adimaya Kaikadin’ in ‘Janakisukhollas’ by Pratapsinha is discussed. Pratapsinha has also composed one more play – ‘Seetakalyan’ wherein he directly brings in the feminine supreme power to aid the heroine, i.e. Seeta. When Seeta asks her ‘which place are you from’? She answers extremely metaphorically. She says, she is as ancient as the time, when sun and moon did not exist. A time when oceans were not salty, and Lord Shiva had not turned blue, because of consuming ‘Halahal’ the poison. She says, she exists from the period of chaos – when there was no world order. In plays of Pratapsinha, if this character is that strong, then heroines of the plays whom kaikay helps are not meek either. And therefore, for telling the exact status and fortune of the heroine, the gifts / remunerations she gets are not mundane. Goddess Amba, Indra’s wife, Parvati all are her givers, and they bestow her with (metaphoric) divine gifts. For example, Rama offers her a ‘Mangalsutra’. Indra’s wife gives her blouse of’ Satvaguna’ etc. Now the obvious issue is, if this character is the supreme divine power herself, why should she need offerings from others? That in fact is a contradiction in Pratapsinha’s writing. But then, he has expressed his own thoughts about human conduct and is his intended direction of ‘Sadhana’. The chapter provides us details about yet another play, framed in the Kuravanji style – Srikrishnamanjiri. These are 555 No. of metered stanzas in ‘Shloka’ form. The ‘Kaikadin’ Adimaya, as an aide is also portrayed here. This portrayal, Dr. Dhere observes is almost identical the one in ‘Janakisukhollas’. He further observes, that amongst the total four Marathi plays in the Kuravanji style, other three apart from Pratapsinha’s compositions do not portray the ‘Adimaya’ as strongly, as in ‘Janakisukhollas’. He gives details from another composition ‘Devendrakuravanji’ of this portrayal authored by Sarfojiraje. Yet another Kuravanji composition by Sarfojiraje is named ‘Radhakrishnavilas’. He also provides the readers with similar details about the portrayal of ‘Kaikadin’ in a play ‘ Nateshvilas’ composed by the last king of Tanjavur-Shivaji the second. The chapter also informs us about such a portrayal of the ‘Kaikadin’ in a Sanskrit. 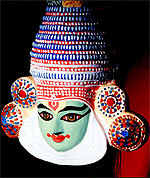 Kuravanji play, named ‘Mohini-vilas’. It is composed by Mahakavi Saptarshi, who hails from the courts of Tanjavur king Shahaji the second (1674-1711). Here she is manifested as a tribal – folk woman. In the Maharashtriyan tribe ‘Kaikadi’ also, there is a firm belief, that ‘ Kaikadin’ is the ‘feminine divine power, and also that she is the mother of all Maternal goddesses (Matrudevatas – supposed to be inauspicious ones.). As an evidence, Dr. Dhere presents here the original folk story in Kaikadis, known as ‘Pitha-Meetha chi Katha’. The chapter enlists and elaborates various places in the literature of Maharashtriyan saints, where in the manifestation of the female divine power ‘ Adimaya’ or ‘Mahamaya’ is portrayed in form of a ‘Kaikadin’. In ‘Bhaaruds’ also the Kaikadin is portrayed. Sant Eknath portrays Kaikadin in six of his ‘Bhaaruds’. Other saints, who have adopted ‘Kaikai’ are Keshav Swami Bhaganagarkar, Madhavamunishwar, Purnanand of Kalyani, Shivramswami, and Jinasagar – the Jain poet. Some of these original verses can be read in the chapter. Upon being asked about her, she narrates where she comes from, who is her ‘beau’, what powers does she possess, and how eternal she is. This is elaborated in the chapter. Thereafter in the chapter, Dr. Dhere assays yet another verse, ‘Shalyaparva’ by Navaras Narayan, a 16th Century poet from the Mahanubhav cultist tradition. ‘Shalyaparva’s detail account and Dr. Dhere’s commentary on it is worth reading in original. The verse describes a situation where in all Kauravas are killed and their mother Gandhari is expressing her wrath, sad feelings on the battle field itself. Al this time, a Kaikadin appears from nowhere and tries to console Gandhari. She tries to pacify her by surrendering to the god’s will is the only way to salvation from this sorrow. However, Gandhari is no mood to hear it. By disobeying Kaiko’s advice, her agonies increase, and increase infinitely. Dr. Dhere explains at this juncture, how the ‘motif’ of Kaiko is effectively used to show that human mind reaches peaks of morbidity, if the reins of restraint are not utilized. In this chapter, Dr. Dhere succeeds in finding out the linkages between ancient Kuravanji theatre, a Kuravanji based play ‘Krishnaparijat’ in the 19th century and ‘Saubhadra-the musical’ play of the early 20th century. While doing this, he also puts light on the development and historical details of Kuravanji plays. The first ever Tamil Kuruvanji play was written by Shahraj Bhosale (1684-1711) with the name ‘Tyaagesar Kuravanji’. In the period that followed this play, Kuravanji form became extremely popular in Tamilnadu. Tamil researchers have enlisted at least twenty Kuravanji plays which are noteworthy. Each of these tries to highlight the importance of a particular god form and the sacred place of his abode. The Telugu tradition of Kuravanji plays, seems to be much ancient than the Tamil one. Many Andhra based researchers agree, that this is itself is the source origin of Telugu theatre. In a sixteenth century volue ‘Ramaabhyuday’, Kuravanji is mentioned as a dance form. Vijay- raghav Nayak, a poet of the Tanjavur court (1633-1673) in his plays, “Vijay Raghav Chandrika Vihar’/. And ‘Vijay raghav Kalyan’ have included the character of Kuratti, a distinct character of Kuravanji theatre. The Mysore king ‘Kantheerav’ in the beginning of 18th century, composed such plays in Tamil, Telugu, Kannada, and Prakrita languages. Few more plays by various composers are also enlisted here. When the Kuravanji play tradition was on decline in Tamilnadu, the tradition got revived in Karnataka, via Andhra with a play ‘Krishnaparijat’ which later became a generic name. It gained popularity and entertained the common people of North Karnataka and South Maharashtra for a period exceeding 150 years. The chapter provides us details on how a Telugu folk-poet Aparal Tamanna composed it in the 19th century. It also elaborates on the details, how after watching the Yakshagaan performances based on this play, Kulgod Timanna decided to adopt ‘Krishnaparijat’ in Kannada, and in a new form. Attempts of Mr. Achyutacharya, to make this genre more interesting are also noted here. Few lady artists who kept the tradition alive are also mentioned. Dr. Dhere provides an extensive list of artists and their contributions in this regard. To reveal the inherent relation between these two plays, Dr. Dhere cites the opinion of yet another researcher- scholar of folk-lore Dr. Tara Bhavalkar. She has traced upon the influences of Yakshagaan, Krishnaparijat performance etc. watched by Saubhadra’s author Annasaheb Kirloskar. Later, as ample and strong evidence shows, Kirloskar actually wrote a script in the ‘Krishnaparijat’ genre and gave it to the performers in Sangli to present it. Dr. Dhere propounds that it was while composing this script, that the ideal of ’Saubhadra’ must have flashed in his mind. Thus, the musical nature, and the ‘principle of disguise’ to meet a beloved from the Kuravanji theatre influenced Krishnaparijat; which in turn influenced the play ‘Sangeet Saubhadra’. This is how the author has traced the Tamil inspiration on emergence of Marathi theatre! Many Indian and foreign researchers have tried to explore the origin of the Sanskrit Theatre, and the character of vidooshak (the comedian) in it with the due socio-cultural context. However, never have they crossed or surpassed the boundaries of the tradition of Sanskirt Theatre, and the relevant resources available within it, in the Sanskrit and Prakrit languages. This is true especially about the extant Indian tradition of dramatics, and the tribes which have preserved them. No one has attempted to explore the interrelation between these and the Sanskrit theatre from ancient times. This chapter offers the readers some valuable inputs in this regard. The author quotes the summary of the opinion of theatre researcher. Dr. G.K. Bhat, expressed in his thesis named ‘Vidooshak’. Dr. Bhat also has extensively referred to the opinions of other researchers namely Vendish, Rice, Hesse, and Pitchell. Sylvan Levi, Konov, Schuler, Lindnau and Keith. Many of them seem to have tempted to relate the origin of Vidooshak, in the ‘Vrusha-kapi’ Sutra in Rigveda (Richa 10.86), because of various references of similarity between a langur and the comedian Vidooshak. However, Dr. Bhat has strongly negated this theory. Dr. Dhere as well agrees in this chapter with this negation and states that just because the Vidooshak is a male character, and is many times referred in the Sanskrit dramas / plays as an Ape, a monkey, a langur – is not enough an evidence, to trace it to Vrushakapi Sukta. Dr. Dhere suggests that exploration of the theatrical tradition in South India makes the researcher differently and seriously alert. The chapter first looks into a detail depiction of Vidooshak in Sanskrit theatres. Pioneer dramatist Bharat muni describes the character with certain adjectives like Vikrutanana (one with a distorted face) or ‘chhedavibhushitvadan’ (one with his face painted with stripes.) This very much relates to even the contemporary Kerala theatre. The author cites few references from Sanskrit plays like ‘Vikarmorvashiya’ and ‘Malvikagnimitra’ by Kalidas, where in the comedian character is directly addressed as an ape or monkey. The play ‘Ratnavali’ by Sriharsha also refers in a similar manner. Same is the case of his yet another play ‘Naganand’. Another play ‘Kaumudimahotsav’ by Rani Vijaybhattarika also has similar addresses towards the Vidooshak. Same is the case with the play ‘Vidhhashalabhanjika’ by Rajashsekhar. All the original references are elaboratively given in the chapter. From these, the author confirms that almost all the play writers have regarded ‘Vanar’ – the monkey and the Vidooshak as congruent. In the further paragraphs of the chapter the author opines that Vidooshak’s congruence with a monkey is just not to make fun of his physical appearance- Because such references are only incidental and confined to that particular conversion in the Sanskrit plays. While on the contrary, in the Southern theatrical tradition, the character designated with the job of creating humour, is referred to by a term resembling the meaning of a monkey. In ‘Yakshagaan’ the vidooshak is called ‘Hanumanayak’. Hanum – is a short form of ‘Hanumant’ (the monkey god in Ramayana.) In southern languages ‘animanti’ means male monkey. ‘Hanumant’ in fact, is a corrupt Sanskrit name, resulting from the phonetic similarities with ‘animanti’. While ‘Hanumnayak’ in Yakshagana is just a Vidooshak comedian, no way related to ‘Hanumant’ in Ramayana. It only indicates his male monkey nature. Minor roles / accomplices of Hanumnayak are called as ‘Kodangi’s. To augment his view, the author cites rejuvenator and researcher of Yakshagaan- K. Shivram Karanth, from his acclaimed volume ‘Yakshagaan’. He says that both Hanumanyak and Kodangis have neither a fixed dress code nor a fixed script. They are the ones who dominate the stage before the main play begins. These characters are capable of and are designed to criticize and humiliate practically any one – whether a god, a demon, or a human. At times they don’t spare themselves. In the traditional Yakshagaan teaching schools, the trainees start the education with the role of Kodangis. In the later scenes, they may appear as the companions of the hunter (hero) or Human nayaka. A similar observation is also put by the researchers Mrs. Martha Bush Ashton and Bruce Christy in their English volume ‘Yakshagaan’. How and why the Kodangis graduate in the later scenes, as the companions of the hero hunter, is related to the theatrical traditions of Andhra and Tamilnadu says Dr. Dhere and elaborates on this interrelation in the further content of the chapter. In Tanjavur Kuravanji plays however, the character appears as sheer comedian – exchanging pleasantries and humour with even the play – anchor, or the Bhagwat. So, the author says ‘Vidooshak’ often humiliated in the Sanskrit plays by calling /resembling him with a monkey, is a true character of a monkey itself, enacted by a human being. This concept seems to have expanded even in the theatrical traditions and plays in the East and South East Asia. The author aptly cites many examples of this spread, from the Chinese, Thai, Balian, and Taiwanese traditions. In this part of the chapter, the author explores how and why exactly the Kuravanji plays, include a monkey character, to enhance the entertainment value. Kuravs,are known as ‘Kaikadi’s in Maharashtra.The tribe has many subclasses into it.One of these subclasses is ‘Kunchi Korav’ who are mainly known for street plays with tamed monkeys. They captivate young monkeys, train them, and perform street shows. This is an ageold traditions, which to some extent is alive even to play. This street play includes their feats enacting as humans. So, it was but natural, propounds Dr. Dhere that as their theatre established, a place for the ‘monkey’ was always ‘reserved.’ Firstly the monkeys were enacting humans, later the humans, in plays started enacting monkeys. While concluding the chapter Dr. Dhere hopes that the other characteristic features of the comedian character ‘Vidooshak’ will be explored separately by other researchers. However, he opines that his own study of the interrelation between monkey and the Vidooshak exemplifies how a multidisciplinary approach always aids true research motives saving them from being grossly misled. Singing or open presentation of songs with extended long narratives often tend to be a public performance an experience which a traditional society often takes. Such performers assume various forms and penetrate into the mind sets of its listeners in an extremely effective manner. The present chapter reveals one such extended long narrative poetry : ‘Ukhaharan’ by a poet ‘Chombha’ in the Pre-Eknath era. He was a composer from the ‘Valmiki’ sect of composers and a folk singer in the tradition of ‘Kushi-Lava’s. These terms are just not a mere mention of characters in Ramayana, but are generic terms, which describe a class of folk – singers. Both in the Sanskrit ‘Smriti’s and ’Kosha’s – ‘Kushilava’ is referred as a tribe of the lower strata, who survives by singing or performing on stage. They are bards. Manu (8.65, 102) equates them with ‘Karuka’s and states that their examination or ‘evidence’ in the court of law should not be regarded as ‘valid’. Even kautilya refers to ‘Kushilava’s as a class of folk singers. Dr. Dhere also cities further references to this generic term from Taittiriya Brahman, Vatsyayan etc. The author points out to the contradiction that these very performers are respected at the time of the particular rituals or during certain festivities. Why, then should they be regarded as ‘lower strata’ or people without any esteem or prestige in the Society otherwise. He himself provides a probable answer that they may be performing, singing, enacting otherwise – without in the times of that particular ritual – which probably was not acceptable. When this performance had a religious occasion or motive till then it was a sacred one. It used to get desacralised, if it was performed without that context. Also, the author opines that this ill –treatment might have been a result of their loose moral character. In the chapter, the author provides us a concrete reason why he gave all this analysis in detail. The tradition which nurtured Chombha – is the one of Puranas, and history, like Mahabharata and Ramayana – All these, basically are the creations of such ‘lower Strata’- people. Mahabharata narrative links itself to Sutas (servants) while Ramayana narrative relates to ‘Kushi-Lava’s. Entire Puranas also have the back drop of the conversations between ‘Suta’ and ‘Shaunak’. So, the sacred scriptures have also arised from folk – tradition of the same lineage is continued with poets like Chombha. Here, the author refers to these scriptures in the sense of ballad, or a traditional long narrative. He sites examples of Bhaarud – It is an imitation of original folk-songs, or an adaptation. Similarly he says that the Itihas and Puranas are folk- based narrative poetries, using a folk-material. ‘Ukhaharan’ -a long narrative poetry of 2500 ‘owees a particular metered form follows the Itihas - Puran tradition of being folk - based in the nature. That too, it is composed in a simple form of ‘owee’ - the Janapad owee, and not that of a complicated nature. There after, the author describes in detail the nuances of the particular ‘owee’ class of poetic meter, how in the narrative, the mentions of ‘the stage’ are found, and how gods manifest into the performance according to Chombha. The author also quotes a relevant, original English paragraph of Lord Raglan, explaining the interrelation between Ritual drama, or dramatic ritual and folk stories. By citing this paragraph, the author appreciates the ‘Rang’ or theatrical sense of ‘Chombha’ seen in his composition. The Vedic tradition denounced the art forms, whenever preformed without context, while the folk –poetries, having their root in ritual dramas, and bore the influence of principles of ritual dramas. As the Vedic terms of ‘Prestige’ and ‘esteem’ became more and more constricted, majority of the Society was excluded from the coterie. Saints, to align and contend the masses offered alternatives to the Vedic rituals. Similarly they utilized folk-arts for praising, invoking, divine power or to preach their thought thereby offering them some solace. Chombha also has composed his narrative in a form of praise – prayer, while preserving its original theatrical values Dr. Dhere describes the awesome spots in Chombha’s narrative in detail at this point in the chapter. He cites the references from the poetry, that it is inspired by Hariwansh, Vishnu Purana and Bhagwat Purana. Chombha cites these three verses, as his main inspiration. Sanatan Dharma regards Puranas as inferior to Shruti-Smrutis. However, Puranas, which were not forbidden to the ‘lower strata’, were obviously revered by the members of this forbidden class. Naturally they have affection and a feeling of gratitude towards them. This, according to the author seems to be the main reason why Chombha refers the Puranas proudly, and as an inspiration. Taking this cue, Dr. Dhere elaborates, how and why ‘Purana’s were oriented towards common people. To augment his opinion he cites Laxman Shastri Joshi. He also elaborates how the Purana stories were an open university of the common people in these times. Also the massive influence they had on the minds of common people. To strengthen the propounding, he has cited lot of reference as from the Mahanubhav scriptures. He also depicts the powerful narrative style of a Puranik Lakshmindrabhat and the mesmerizing effect he achieved on the listeners. This chapter discusses the inspirations and fallouts of following a folk tradition in a modern play-‘Mahanirvan’ by Satish Alekar. Initially in the chapter the author narrates the story line of this play in brief and then goes on to discuss some biographical details and the influences of the surrounding of the author on his persona and writing. He also quotes the details of the writing process which the writer of the play himself has described. Then, Dr. Dhere elaborates certain gimmicks / effects achieved in this play, which are devised by modern play writers. These include a narrative resembling epic theatre of Brecht, the A- effect (Alienation effect), and the ingenious technique of Brecht – Anti-illusionist devices, which author of ‘Mahanirvan’ has used. The reason why Dr. Dhere chose to produce such a detailed critique and analysis of a modern play becomes clear to the reader, when he says that the entire content and narrative composition, along with texture of the play is candidly folk - inspired. In fact, it powerfully presents the style of folk performance. He observes that ‘Mahanirvana’ – a term usually associated with departing of great souls and sages, has been deliberately desacralised and denoted by the author Alekar. The play is based on the pre-ritual tantrums of survivors, before a funeral after death takes place. Dr. Dhere opines that a ritual always includes some kind of myth associated with it. Likewise, he says that even in a play, some ‘myth’ produced by the perspicacity of the author is enacted by the performers. Myths, in this case lie in minds of the performer and also in the minds of the audience / spectators, who give as a sanction to the myth. Dr. Dhere observes that thread ceremony (Upanayan), marriage, and last rites / funeral are three rituals in our society which have dramatic elements, as they are associated with a transition in life. They are rites of passage. In funeral, two contrasting emotions, namely sorrow, as well as an unknown fear (of future) accumulate and pervade in the minds of survivors. The very process of last rites is a performance of ambivalence of these feelings. The real ‘hero’ of this performance is none other than the departed soul-who exists there by not being there. This existence truly offers this performance the dramatic character. Hero narrator and anchor of Mahanirvan is the departed soul. This ‘presence of the absent one’ observes Dr. Dhere, has been beautifully transformed into a drama, along with all the social contexts the ritual has got. The fantasy of external or wandering soul is a motif or an ideation which is found in folk-based stories, literature worldwide. Dr. Dhere gives full credit to the author for using this motif effectively. He however regrets that even this motif or ideation had to be accepted as a whole, including its inherent characteristics – which the author has failed to assimilate in the storyline. By quoting some original pieces from the script, he drives his point. Then he (Dr. Dhere) also narrates how the ‘masking to reveal unmasking technique of Eugine O’Neil is also effectively used by the play writer. Finally Dr. Dhere with much elaboration propounds that ‘Kirtan’ and ‘Gondhal’ forms, adopted in the play give a satisfactory experience to the spectators, forcing them to think – but only to a certain extent. He regrets that had the author been more attentive and studious about the very nature and effect of these forms, it would have been a far more satisfying an experience! In search of Indian theatre …. The chapter, in its summarizing form, is essentially of a fundamental importance. As, it is here, that Dr. Dhere presents his elaborate views on the origin, inter-relation, progression and journey of he modern Indian theatre, within the realms of Ancient folk - based theatrical traditions of India. Very humble, Dr. Dhere confesses that although in a traditional sense, he is not an expert of the ‘art of theatre’; it is a topic of his liking and curiosity. He feels that the series of thoughts, expressed in Dr. Tara Bhavalkar’s book “Lokanagar Rangabhoomi” will be a good material as an epilogue of this present book. Dr. Bhavalkar’s volume reviews and presents a detailed account of the urban (Naagar) theatre post 1960, and the unparalleled, and unique impact of the folk-lore it bears upon it. He agrees to Dr. Bhavalkar’s thought,that the ethos created in Vishnudas Bhave’s plays and the secularization and desacralization of the theatre it initiated, proved to be the trigger and origin and origin of modern Marathi theatre. He also concurs with her finding, that although in social scenario the leaders of the people used the strengths of folk arts, Marathi contemporary theatre by and large neglected the very existence of these traditions and the inherent strength it had. ‘Sangeet Sthanik Swarajya or Municipality’ in the past and ‘Ghashiram Kotwal’, ‘Teen Paishacha tamasha’ ‘Mahanirvan’, ‘Hayvadan’, ‘Ajab Nyay Vartulacha’ being some honourable exceptions. ‘Dramatic ritual’ by itself is a fundamental resource for the ideation of a drama says Dr. Dhere and each ritual according to him has an inherent, dominate or recessive myth behind it. When the nature of the ritual is complex, multidimensional, more than one myths are likely to be associated with it. While a ‘myth’ is a verbal form of ritual, the ‘ritual’ is a dramatization or enactment of a myth. While this dramatization develops, it assumes a form of ritual –drama. Few of the myths are an assumption behind the ritual; a few myths explain the origin of the ritual and a few advocate the cause of the ritual. Thread ceremony (Upanayan), marriage and last rites are dramatic rituals, while ‘Gondhal’, ‘Jaagran’ are ritualistic, or ritual- related dramas. When all these elements are dramatized, sometimes the reality transforms on a mythical level-sometimes mythical character very easily ‘descend’ to the real world. When the ritualistic dominance of the element is eliminated from the ritual drama, it becomes a folk – based play, argues Dr. Dhere. He has elaboratively put forth his saying. Later, he ponders on the mélange of ‘folk’ and ‘urban’ elements by taking a cue from Mr. M.N. Srinivas’s definition of ‘Sanskritization’ meaning the sophisticated elite world has always been assimilating all the strengths of all the folk elements which are immensely popular in the minds of common people. In other words, the ‘Sanskrit’ tradition has always been emulating all the popular ‘Prakrit’ elements. With respect to the ‘stage’ it can be said that the Bharat muni’s ‘Natyashastra’ – although composed in Sanskrit, Bharat falls in the tradition of Suta-Magadh and Kushi-Lavas (folk artist classes from the so called lower strata of the society.) who were not regarded as ‘elites’. The established, ‘haves’, elites had always been compelled to take a cognizance of what was regarded as ‘folk’ -based he says. He lauds the initial dramatists Kirloskar and Deval for avoiding the ‘Sanskritisation’ and ‘Westernization’ of the theatres in making; instead they took inspiration from the strengths of folk-theatre, he observes. Here onwards, Dr. Dhere has presented an extremely interesting account of ‘Tamasha’ an immensely popular folk-based dance form and how Marathi theatre wasted its inherent strengths to create a make believe world with the least effort. Here, he often and often quotes well known critic of Marathi literature W.L. Kulkarni. He also presents the counter arguments of K.Narayan Kale to Mr. Kulkarni’s opinion. He also quotes an eminent personality in the Theatre, Sachin Sengupta, who had dreamt (like Mr. Kulkarni) and hoped that some day, Indian theatre will realize and utilize the inherent strength of folk-lore to produce a wholesome dramatic experience. Dr. Dhere observes, that their dream has realized in past three decades with some extremely strong and effective plays like ‘Ghashiram Kotwal’ being produced. He regrets that efforts of a dramatist, Madhavrao Joshi in this direction did not gain the acclaim they deserved. He categorically mentions Mr. Vyankatesh Madgulkar to have derived strength and inspirations from the folk element tradition to produce some of his extremely effective plays. He then presents an account of medieval Vaishnav poet composers’ work. How they, even while retaining the regional peculiarities founded the basis of Indian theatre. That was a time, opines Dr. Dhere that the equilibrium of efficacy and entertainment was achieved. A separate ‘Entertainment’ was probably not required at all. He also critically puts forth that some critic may describe this situation as a pathetic gimmickry which was dumb founding the social collective conscious, so that no one would be prompted to explore the agories of life with a social angle, and no rebel inspirations would arise. He thereafter describes how the Tanjavur theatre essentially follows the ‘Leela-natya’ tradition. While elaborating on the said topic, he quotes the analysis of Dr. Tara Bhavalkar. She writes, “The thought that female characters should be enacted (only by) women, emerged only after 1930. The reason quoted is the lack of any reformist thought till the period. However, this doesn’t seem to be the sole reason. Since dramas, plays till that time were ritual dramas meaning they involved a religious ritual, women were thought to be ‘non-pious’ and ‘non-sacred’ owing to their menstruations. Dr. Dhere however diverts in his conclusions a bit from what Dr. Bhavalkar has presented and offers a sound reasoning for the same. He enumerates various instances and periods, even before 1930 wherein only women have enacted the female characters. This perhaps is the most vital part of his argument and findings, in this regard which will be of use to the researchers on this topic. He enlists that Kuravanji theatre female characters were played by women. In fact, in the tradition of theatre which Tanjavur plays follow, records indicate that women have been enacting female characters from 2000 years. He sites references from Kautilya’s Arthashastra about such enactment. He quotes the information from a rare, valuable book by Mr. Shankar Bapuji Mujumdar- named “Maharashtriyan Nat” (Maharashtriyan actors). In this he has directly given the names, details, and the performing companies at various places in Maharashtra. Dr. Dhere has cited this information in its original form. Vitha, Mhalsa, Neera, Tai are few of these unsung heroines he has described. Taking a cue from this topic, he questions the validity and righteousness of the social convention in those times, to worship a performer – during the performance time, and denounce or treat him / her in an inferior manner, for all the rest of the year. He puts onus of such a treatment of contradiction given to the artists of the society on the myth of so called ‘immoral characters’ of mere artists. Women who initially entered on the stage of ‘Tamasha’ were Kolhatis, Moorlis and Jogteens – so this misnomer may have spread fast, he observers. Later while discussing this topic in detail, he gives full credit of preserving and nurturing Marathi theatre to the ‘Kalavanteen’s of Goa. Also, here he raises an important point in the modern contemporary context. On one side, he observes that urban elite art is embracing the folk-art forms more and more day by day. In the same society, however, the social status, the standard of life and living of the original performers and custodians of these folk arts is rapidly deteriorating day by day. As a result, while the urban elite class wants to take more and more from the folk class – the original torch bearers of the tradition want to denounce their entire linkages to these arts. He sadly accepts the situation – as now, when these masses, have put on a rebel against all the social inequality and discrimination, it is but obvious that they would like to forego and denounce these traditions. At the end of the chapter, he traces the landmark incidents and milestones of the modern Indian theatre, post independence. Origin and spread of Dashaavtaars, is not just restricted to Konkan in Maharashtra, and for the last 2-3 decades. The author present various references as an evidence how ‘Dashaavtar’ tradition had occupied the entire region speaking Marathi and its borders, that too from Yadav dynasty’s regime to Peshwa regime. He then quotes experts from a volume ‘Sant Leelamrut” by Mahipatimaharaj Taharabadkar, composed in 1757, From this volume, he cites how Gorakshnath – founder of the ‘Nath’ cult, in order to free his detained disciple Machchindra used the ‘Dashaavtar play performance’ to enter the courts of the captivating kingship. The same incident, quotes Dr. Dhere is also elaboratively described by two more composers – ‘Adinath Bhairva’ and Narahari Dhundisut Maalu. Dr. Dhere also presents a very interesting account of a French missionary Abbe J. A. Dubois from his volume - “Hindu manners, customs, and ceremonies.” He has quoted the missionary’s observation of having watched a Dashaavtari performance. Thus, he signifies the ancient nature of ‘Dashaavtar’. In this appendix, the author firstly cites some reference of folk plays of almost prehistoric times. He cites references of a native folk dance ‘Pekhkhani’, in the pre-Marathi literature period. He with this example, states, that for all the saints, and sages from the pre-historic era, divine power is the ultimate ‘performer’ on this stage of the world, who keeps on playing various characters at various times. They, to preach their thought, utilized all his enactments, ‘Characteristics’ and performances to their benefit. ‘Laleet,’says the author is one such form related to the writing of saints.Laleet,accordingly to the Encyclopedia is an ‘enacted kirtan’. He cites the detail description given in the encyclopedia, how Laleet and even ‘Kaala’ forms are related to Kirtan. He observers, that with the passage to time, Laleet has been disassociated from Kirtan, as its performing episode, and has now been a play form, which assigns a particular sequence to the ‘Bhaarud- songs’. In the appendix, he mentions certain resources in print, which do offer the original scripts of ‘Laleets’. He further observes that whatever little performances are now seen in the rural areas, all of them rely more on the extempore dialoges of performers, rather than these fixed scripts. He then describes in great detail how a writer one Mr. Krishnaji Narayan Shashtri Pabalkar has composed a unique Musical play (A Laleet) by getting inspired from ‘Saubhadra – the musical’ Pabalkars, composition observes obeys fully all the norms, conventions and meters of composing a ‘Laleet’. Dr. Dhere gives full credit to its author for creating a modern theatrical experience solely based on a traditional folk-play, the ‘Laleet’. Most of Saints worshipping ‘Vitthal’ respect the god’s manifestation in the herd-keeper (Gopa-vesh-dharak) form. Many a times they contemplate to be this herd-keeper’s allies and imagine themselves to have participated in his playful acts and feats. ‘Kaala’ and ‘Baal-kreeda’ are some such playful feats. Dr. Dhere finds the etymological origin of ‘Bhaaruds’ in the pastoral, herd-keeping manifestations of the god, as one of the Mahanubhav scriptures have used ‘Bhaarud’ as a synonym for Dhangars- the pastoral communities. He claims that ‘Bhaaruds’ originally are the songs of these pastoral sheep-keepers. A significant Bhaarud by Eknath – ‘Vinchu’. The appendix gives in detail the script, of saint Eknath’s famous ‘Bhaarud’ song – Vinchu (scorpion), the underlying thought and message behind it. The beauty in its meaning, and some detailed information on the ‘Bhaarud’ compositions of Saint Eknath’. The content of the chapter, elucidates the intertwined relationship of ‘myth’s and drama, from ancient times till today. From a certain point in time, till today – performing arts first pray and praise Lord Ganesha the elephant- headed God, for the best of performance. Till 8th century, this doesn’t seem to be the practice. Dr. Dhere, in this appendix enlists various citations by later performers, how and in what manner do they appease, pray and invoke Ganesha at the very beginning of the performance. Few of the performers he cites are Shaheer Prabhakar from the final days of Peshwa regime, Kaviray Ramjoshi- another famous Shaheer, Honaji Bala – yet another well acclaimed performer. In this Appendix, Dr. Dhere expresses his respect for the senior researcher Rajwade, and his aesthetic analysis of the Maharashtriyan ballads: The ‘Powadas’. Dr. Dhere firstly gives us the detailed, original text of Rajwade in this regard. And then he states, that his description of the dramatic element in ‘Powadas’ is extremely significant as it affirms the Powada’s nature as a performing folk art. Dr. Dhere feels that the entire propounding of Rajwade ranks very high, amongst all the critiques and treatises on the topic.